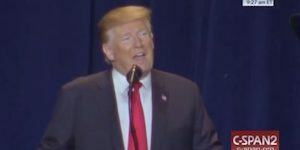 The president lost his bearings on stage at the worst moment possible and left viewers stunned. The president unleashed a tweetstorm of childish complaints, and now the House Speaker is putting him in his place. 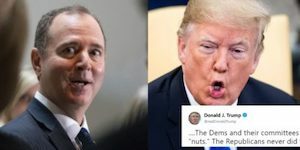 The top Democrat on the Intel Committee put the president in his place with a snappy comeback. Take Action: Add your name to indict Trump for felony conspiracy! Conservatives’ victory lap about Northam came to a crashing halt as their own skeletons came pouring out of the closet. The Republican president tried to disparage his rivals but fell flat on his face. In a 5-4 ruling, Chief Justice John Roberts joined the court’s liberal wing to stay the Unsafe Abortion Protection Act. 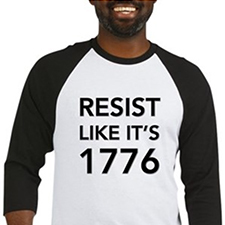 Despite 6 in 10 Americans being against it, Congress voting to move forward without it, and a crisis that only exists in the president’s head, Trump is desperate to build a border wall to please the most vile members of his base. And if Congress doesn’t give him the funding he needs by the February 15 deadline, his next plan is to declare a national state of emergency. There is NO emergency (undocumented immigrant numbers have actually dropped), and it would be a violent, anti-democratic, dictator-like power grab to move forward in this manner. Call or email your Members of Congress, and tell them to act swiftly if Trump declares a state of emergency to build his racist border wall. They’ll need to 1) immediately pass a resolution to end the emergency and block any funds for the wall, and 2) launch an investigation into abuses of power. While you’re on the phone, tell your Senators to cosponsor S.326, which would prevent Trump from using an emergency declaration on a wall before he even attempts it. Using a state of emergency for an unwanted, unneeded, $5.7 billion monument to xenophobia is hardly legal. But it’s been used to justify Japanese internment camps and post-9/11 torture…and the wall would fall into the same shameful camp, unless Congress stops it. Congress is a ruling body equal to the presidency. For two years, Republicans in both chambers bent over backwards to give Trump what he wanted. Now, Trump gets to grow up past a toddler’s understanding of negotiation and learn that throwing a tantrum won’t get him anywhere. Email or call (202.224.3121) your Members of Congress and tell them to plan ahead if Trump declares a state of emergency to build his wall. 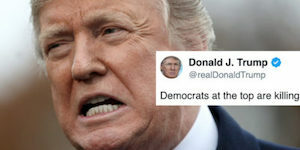 Demand they immediately pass a resolution to end the emergency, block any wall funding, and investigate Trump’s abuse of power. 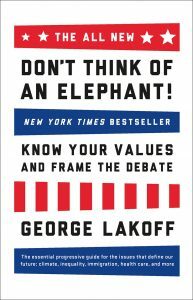 PS — Please don’t forget to sign the petition to rename the street Trump Tower is on “Obama Way”, and check out the brilliant “Don’t Think of an Elephant” by George Lakoff — a quick read that contains the ultimate keys for Democrats to win elections — and arguments.